This season the Cape and Islands has seen an impressive incursion of snowy owls. While the numbers may be very large (relative to normal) that doesn't make them easy to find! But VCS's Brendan O'Neill managed to catch this one hiding out in the area of Crackatuxet Cove in Katama. Click above for the full photo, and also see here and here. For an explanation of the phenomenon, see Vern Laux's Bird Report for WCAI radio.
. . . one of many exhortations from a "Plastic State of Mind"
While the Grammys may have missed this fun parody video, there's no reason you have to. Outdoor education program with adventure, fun and quality outdoor time for the entire family. For pricing and other info, call (508) 645-2008. Slow Food MV invite you to join them for brunch at the Chilmark Community Center. Featuring presentations from local farmers, $12 ($10 for Slow Food members), and bring your own plate. Wednesdays, 10:00 am to noon, Chilmark. Learn about farm animals, food and farming at Native Earth Teaching Farm. For toddlers with an adult, call (508) 645-3304 for more info or to arrange to come by at a different time. North Road, Chilmark. A little bit of summer flavor from our winter's ingredient list. Recipe adapted from the Food Network. Peel and seed the squash and cut into 1 - 1.5 inch chunks. Toss with the olive oil, allspice, cayenne, and salt and pepper (to taste) and place in a baking dish. Roast until tender, stirring once, 15 to 20 minutes. Let cool slightly. Whisk the yogurt, lime juice, 1 tbsp water, an additional 2 tbsp olive oil and a pinch of salt in a bowl. Transfer the squash to a serving dish and drizzle with the yogurt dressing. Sprinkle with the pomegranate seeds and cilantro. 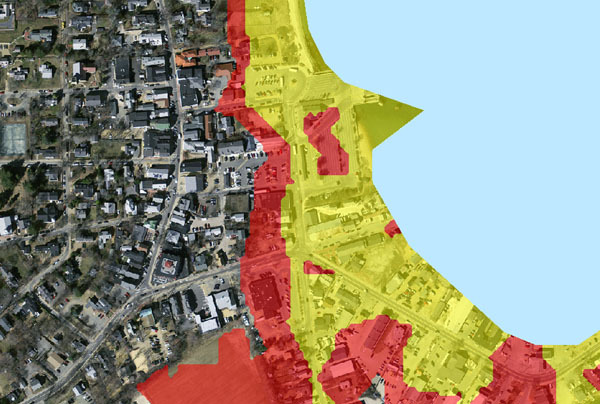 The next VCS Winter Walk is a bit of a departure, exploring the site of the long-lost Bass Creek in the heart of Vineyard Haven. 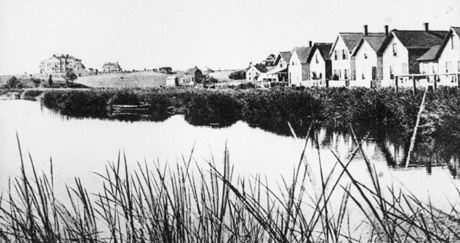 Once open water, Bass Creek and the west arm of the Lagoon are today filled lands located roughly behind the town Post Office and the structures along Beach Road. The walk will include a loop to the conserved glacial ravine feature known as Cat Hollow, the location of a tar-works where whale boats were once repaired. A common trait of Living at Sea Level (the theme of this year's walks) is for humans to find creative ways to expand our available habitat. One reality of the present era of rising seas, however, is that these engineered human habitats may be some of the first to be given back. It's much too early to tell if Bass Creek will return, but in the meantime, come see this historical Vineyard feature Sunday, Feb. 9. The walk starts at 1:00 and will last about an hour. Cider and cookies are served afterward. 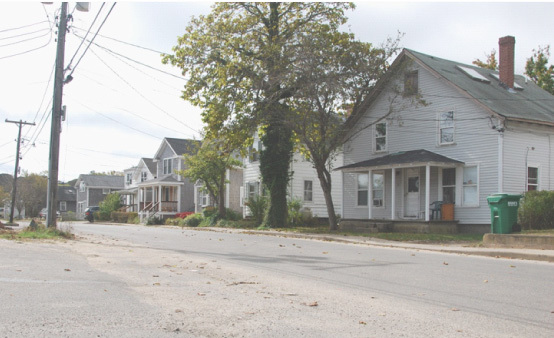 Directions: When approaching Five Corners from Vineyard Haven, turn right onto Lagoon Pond Rd./Howard Ave; parking will be in the lot by the ball fields about 500 ft past the Post Office. For additional info, please email our office. 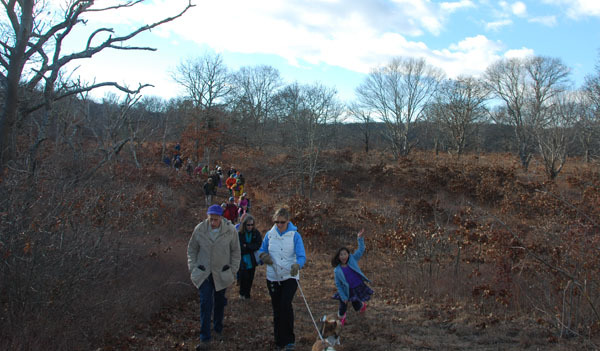 About forty people (and five dogs) ventured well off the beaten path into the Frances Newhall Woods Preserve for our most recent Winter Walk. If you missed the walk, you can learn more about the history of its protection, the ecology of this important habitat, and view a slideshow of the walk at our website. Thanks to Liz Loucks, Land Steward for The Nature Conservancy for co-leading the walk with VCS Executive Director Brendan O’Neill. The proposed store would be located at the approximate site of the existing Stop & Shop, near the center of this map. Sea level rise is an important issue in regard to any proposal here: areas in yellow are below 3.3 ft of elevation, areas in red below 6.6 ft. Thanks to Chris Seidel and Phil Henderson for the image. VCS was formed nearly 50 years ago by Island people intent on protecting the land and unique character of this special place. . . We are concerned that the proposed development undermines this unique balance in an unacceptable way. Potential detriments . 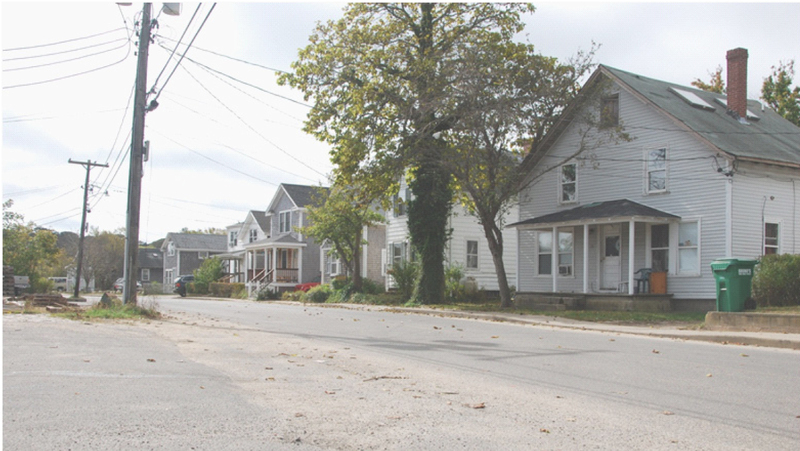 . . include transportation and traffic impacts, impacts of a development of this size, site constraints, noise, historic character impacts, and the unsettled nature of the off-site Town property negotiations. The complex debate over the ongoing boom in natural gas production and use in the United States can be very roughly condensed to it being a significant improvement over coal here in the present, but one that may ultimately come at a high price, prolonging our addiction to fossil fuels far into the future. But the recent spell of extreme cold weather in the Northeast and Midwest of the U.S. has revealed that there are also problems with the natural gas transition here in the present: not just the documented environmental problems, but issues of economics and energy supply. Read more at Environment and Energy Publishing. There's little question that there is sufficient profit motivation for the natural gas industry to eventually smooth out these supply and transportation issues. But it's worth asking if we could see a similar effort to increase the share of truly carbon-free sources in our energy mix.